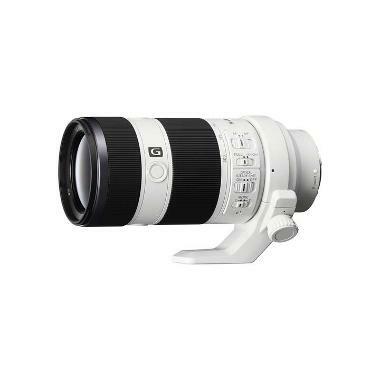 The Sony FE 70-200mm f/4 G OSS Lens sports a Dual Linear Motor Autofocus System to achieve quick, precise focus in addition to featuring Optical SteadyShot image stabilization for maintaining sharpness at long focal lengths or slower shutter speeds. A "panning mode" adjusts the lens to account for horizontal movement while shooting, which is handy for sports shooting. This lens is ideal for wildlife, sports, and outdoor portraits where you have a lot of space at your disposal.